You don’t happen to see such photos too often. 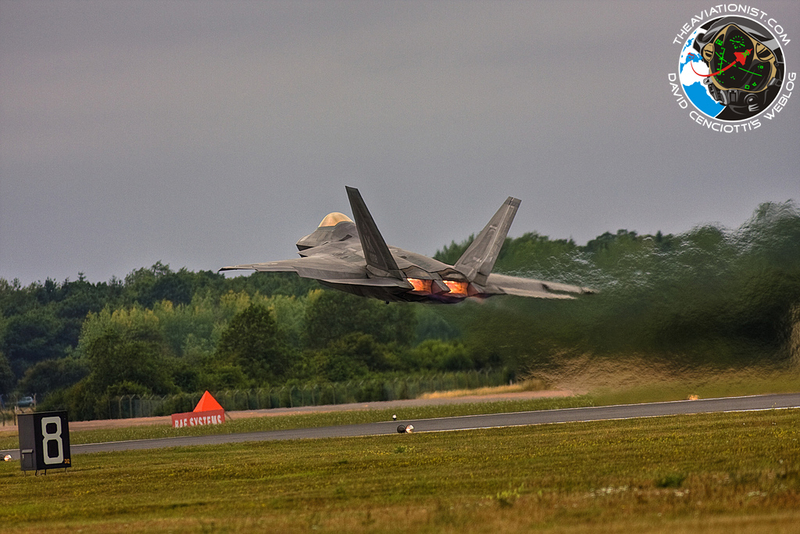 Most of the images you can find online showing a F-22 stealth fighter firing a missile either depict a Raptor prototype or the air-to-air missile is an AIM-120 AMRAAM (Advanced Medium Range Air to Air Missile). That’s why the image on top is interesting: shot in 2009, it shows a F-22 Raptor 4007 launching an AIM-9L Sidewinder missile during a test at Edwards AFB, California. The photo shows also the open side bay door housing the canted trapeze that the F-22 Raptors use to put the AIM-9 Sidewinder seeker into the airstream: indeed, stealth jets rely on weapons bay to carry bombs and missiles and preserve low-observability. Although the missile in the picture is an AIM-9L, in the future, U.S. Air Force Raptors should be able to carry the AIM-9X Block II which features the Lock On After Launch capability meaning that the bay doors remain open just the time it is needed to eject the missile into the airstream. 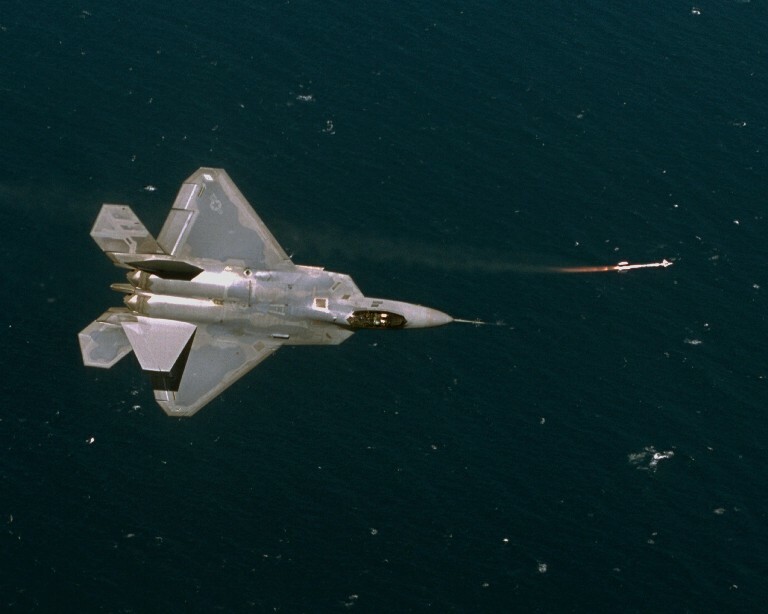 The image below shows an F-22 launching an AIM-9M missile. Top image credit: Darin Russell via Lockheed Martin; below U.S. Navy. Interstingly, the second prototype of China’s J-20 Stealth Jet was spotted testing a missile deployment device on the side weapons bay which extracts the selected air-to-air missile and then closes the door to keep the reduced RCS.